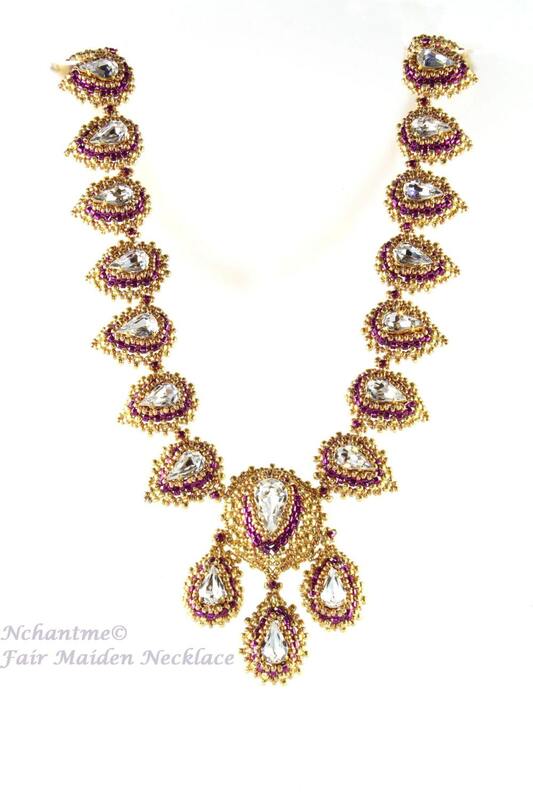 This dazzling necklace was named after all the beautiful maidens in fairy tales and mythology. 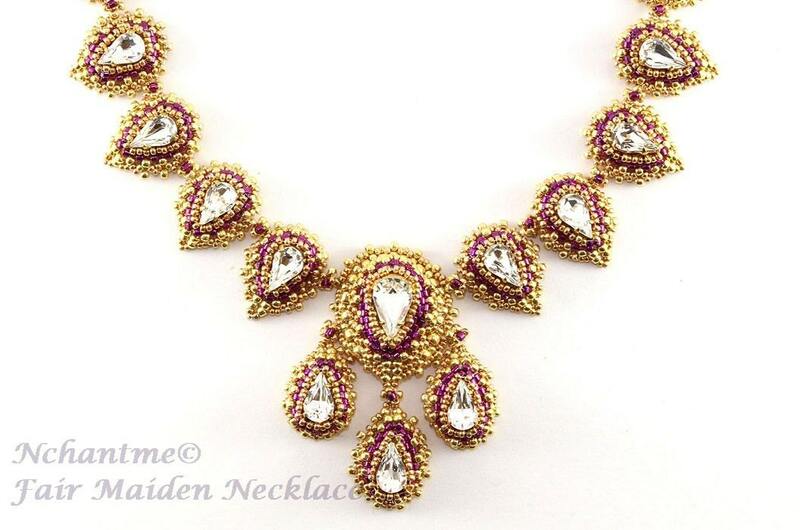 Perfect for girls of any age, Fair Maiden will be a sparkly, timeless addition to your jewel box! Techniques: Circular peyote stitch, Ndebele herringbone, embellishment stitches and basic wire skills to finish. The pattern includes clear instructions in English with 25 step-by-step illustrations to make it easy for beading. Materials such as beads and findings are NOT included with download.